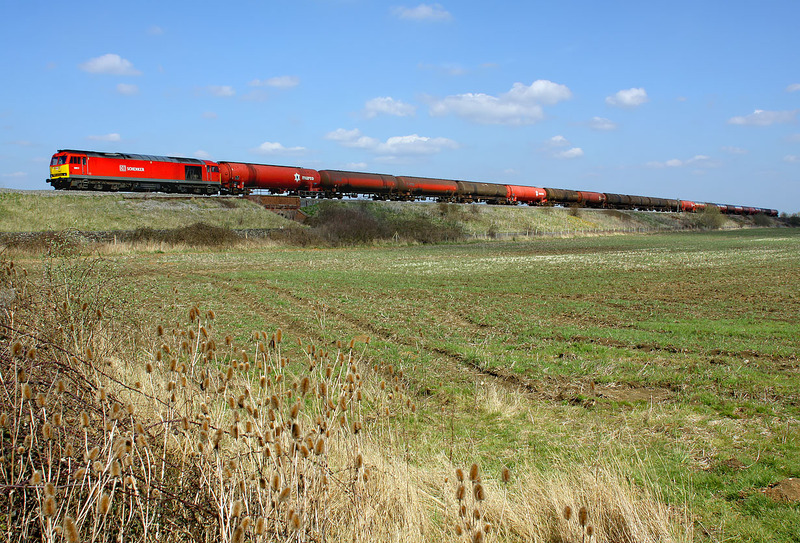 The seed heads from last year's teasels line the field in the foreground, as 60017 passes Knighton on 20 April 2013 with the 6B33 11:27 Theale to Margam Murco oil empties. Unfortunately a small cloud decided to get in the way of the sun at the critical moment, which was made more annoying by the fact that for the rest of the day it was virtually 100% sunshine! At least the foreground, loco and part of the train is lit, so not a complete loss.